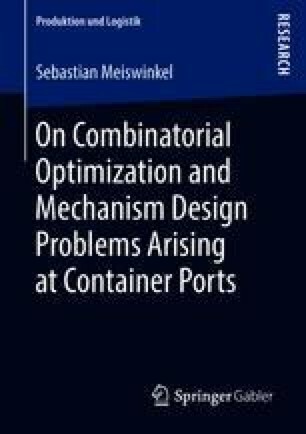 In context of container ports, various optimization problems arise. There are optimization problems that depend only on internal information that is available to a decision maker as well as optimization problems that depend on information of customers of the port. The latter case makes it necessary to use methods from the field of mechanism design in order to extract true and therefore useful information from the customers.